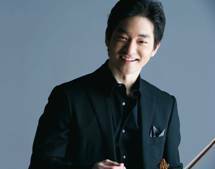 World renowned violinist Ryu Goto will visit the city of La Paz to perform Tchaikovsky’s Concerto for Violin in D Major, Op.35 with the National Symphony Orchestra of Bolivia. He will also conduct master classes at Man Cesped Music Academy in Cochabamba as well as perform Vivaldi’s Four Seasons with the students at the Academy. This event is co-organized with the Embassy of Japan in Bolivia.